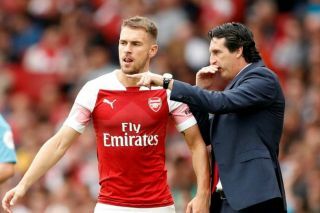 It’s been revealed that Aaron Ramsey asked Unai Emery to sub him off during Arsenal’s win over Newcastle on Saturday because he was tired. This is according to the Sun, who note that the Welshman was taken off by the Spaniard in the 80th minute for Danny Welbeck, with the Gunners being 2-0 up at the time. 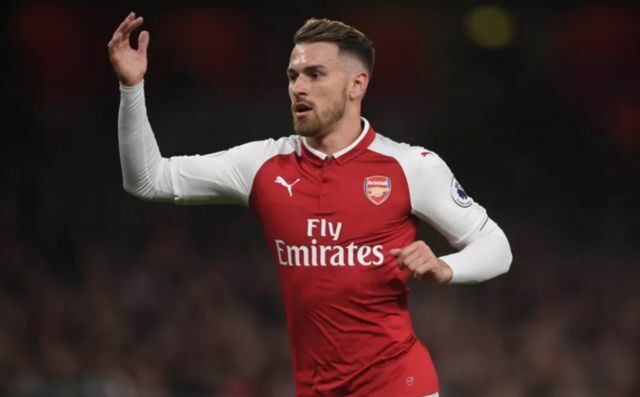 It’s a fair reason for Ramsey to ask to be subbed due to tiredness, as the midfielder was used by Wales for both of their matches over the international break. Ramsey has played in all of the north London side’s five Premier League so far, something that may have also contributed to the fatigue he suffered against the Magpies. Emery has made a decent a decent start to life at Arsenal this year, as the former PSG and Sevilla boss has won three Premier League games in a row, two of which came away from the Emirates, since their defeats to Man City and Chelsea. Given that Arsenal had only won one away league game in 2018 before the Spaniard came, for him to win two of his first three away fixtures is impressive to say the least. Gunners fans will be hoping their side can keep up this current run of form, as they look to force themselves back into the top four come May.